After further investigation, officers have not been able to determine which vehicle ran the red light. There will be no charges at this point. At this point in the investigation we believe two people inside a van were traveling westbound on Ute Ave when they were struck by a driver of a pickup truck that was heading southbound. Witnesses say the collision caused the van to roll. It landed on its wheels. The two people inside the van were taken to the hospital with what appeared to be non-life threatening injuries. We are looking into the possibility that the driver of the pickup ran a red light, causing the collision. Charges are pending further investigation. 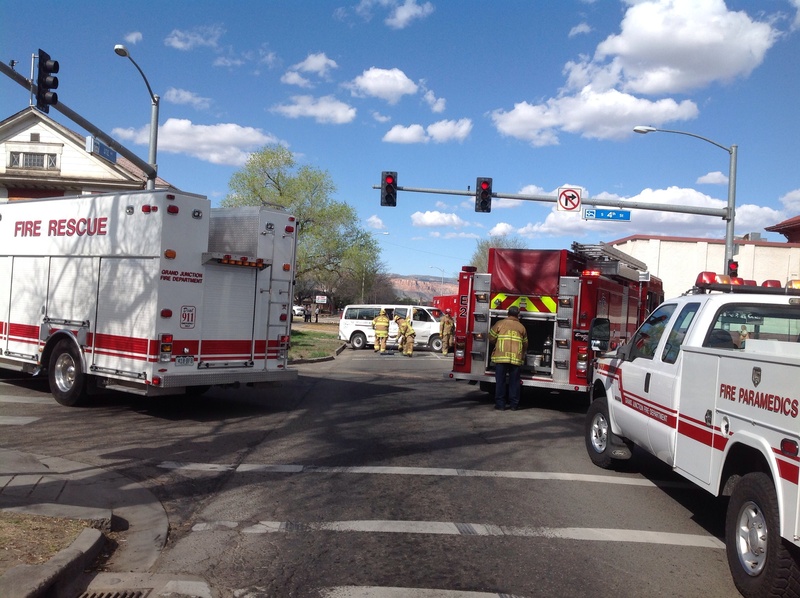 The intersection of 4th and Ute Ave is closed due to a car crash. Detours are set up at 5th and Ute and 4th and Colorado. We’ll release more information as it becomes available. Please avoid the area for now.